Much has been written in the West on the history of the Soviet space program but few Westerners have read direct first-hand accounts of the men and women who were behind the many Russian accomplishments in exploring space. The memoir of Academician Boris Chertok, translated from the original Russian, fills that gap. In Volume 1 of Rockets and People, Chertok described his early life as an aeronautical engineer and his adventures as a member of the Soviet team that searched postwar, occupied Germany for the remnants of the Nazi rocket program. In Volume 2, Chertok takes up the story after his return to the Soviet Union in 1946, when Stalin ordered the foundation of the postwar missile program at an old artillery factory northeast of Moscow. Chertok gives an unprecedented view into the early days of the Soviet missile program. With a keen talent for combining technical and human interests, Chertok writes of the origins and creation of the Baykonur Cosmodrome in a remote desert region of Kazakhstan. He devotes a substantial portion of Volume 2 to describing the launch of the first Sputnik satellite and the early lunar and interplanetary probes designed under legendary Chief Designer Sergey Korolev in the late 1950s and early 1960s. He ends with a detailed description of the famous R-16 catastrophe known as the "Nedelin disaster," which killed scores of engineers during preparations for a missile launch in 1960. 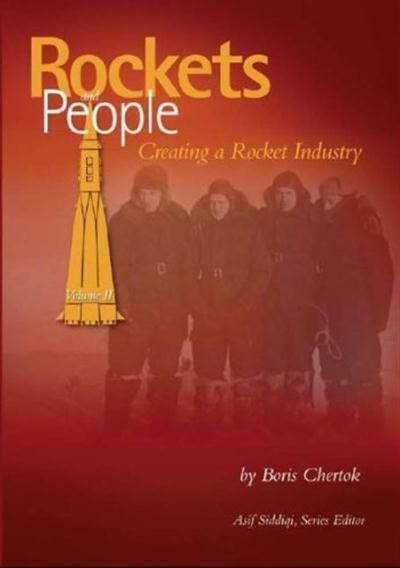 Rockets and People, Volume 2 Creating a Rocket Industry by Boris Chertok Fast Download via Rapidshare Hotfile Fileserve Filesonic Megaupload, Rockets and People, Volume 2 Creating a Rocket Industry by Boris Chertok Torrents and Emule Download or anything related.